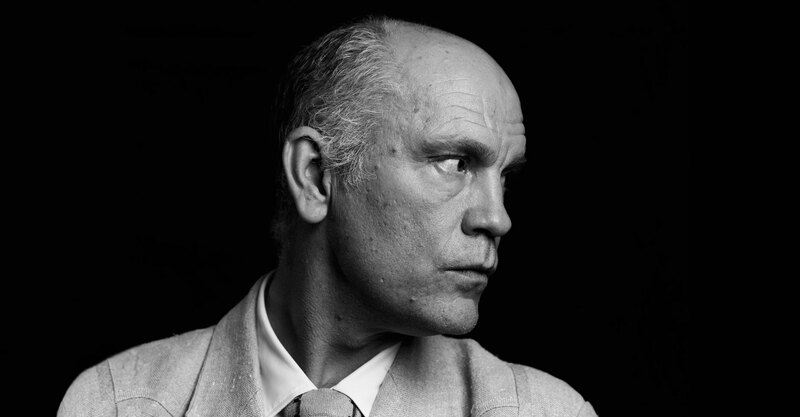 Mr. Malkovich, why do you watch movies? For me, I couldn’t care less. I’ll watch something that will make me think, but at the same time nobody is happier than I am watching Tropic Thunder or There’s Something About Mary. I’m the hysteric who almost has to leave. I couldn’t care less what kind it is, I am much too eclectic for that. I mean, if you ask me to compare The Lives of Others to Porky’s II, well that is a little out of my pay-grade really. But I will like them equally if they achieve what they set out to do. One sets out to make people laugh and the other one sets out to tell us something about how we should live. If they achieve that, I am very happy and if they fail at that, then of course I’m not very happy. Is that how you judge a script as an actor and as a producer as well? Yet you still keep on going back to it. I like producing because we do good things and I believe in my partners. If you lose money with it, too bad, but don’t cry about it because that’s just the way it is. There can be a million reasons why I do a movie. Antonioni was the first director who ever offered me a film in the early ’80s. Then he had a stroke and nobody thought he would work again, but when his wife called me and asked me if I would do it, I said yes without reading the script. Otherwise I wouldn’t have worked with Antonioni. I wouldn’t know what that meant. I wouldn’t have worked with Mastroianni or Wenders or whoever. There are a lot of reasons why you do things. Some of them are good, some of them probably not – and some of them venal and not so venal – but mostly you do it because you think it could be good. That’s the basic rule. Speaking of Wim Wenders, he told me that he was a workaholic all his life but lately he has realized that he missed some important things being such a workaholic. Would you say you’ve managed a good balance? Certainly nothing about me has ever achieved perfection of any kind so I’ll say no right off hand. Generally I did okay, but there are always regrets. I understand what Wim is saying and by knowing him I can tell what he means. He comes out of a specific country and culture and a specific period of time and a specific generation who almost had to do it that way, because of their history. It was the crushing weight of what they felt was their history and I never felt that. I was lucky that I could always kind of take it or leave it really. Would you say you’ve lived a charmed life? Where do you find material that interests you? There are a lot of sources. A couple of days ago I was flying to Boston and I read an article in a magazine about a figure, I won’t tell what it was about exactly because people have a tendency to steal things, but it was so interesting. It wasn’t even a well-written article, but the subject was so interesting. If I had the set-up and the money where I could say, “Go read the article, get that guy on the phone, and let’s start on the screenplay,” I would. So I will keep it in mind. Of course I get a lot of inspiration from literature, but also from life. Would you say that you are more at peace now than when you were younger? What else changed when you had kids? I think once you have children you start to think about mortality. I started having children when I was 36 so that was my start of it. I think everybody is at ease when it remains a notion. I have heard that people die – but not me! That is how most people think. But I understand that it could be today, tomorrow, or in forty years. Do I think about it? Yes, I think I am fairly at peace and okay with it. Does that attitude help you live in the moment? Yes, I think I’ve gotten better with that compared to when I was younger. Although I have never been someone who was so lost in the past or intent on the future that I couldn't live in the present. I think I am quite relaxed. I have never been a bundle of nerves, let’s face it. They used to have to wake me up before opening nights at the theater because I would be asleep under the makeup table. They would kick me and say, “You’re on… idiot.” (Laughs) Before football games instead of sitting through the preparation and motivation I’d go sleep in the room that had the tackling dummies and wake up and be ready to go and fine. Do you have any regrets living your life like that? When I was younger I think I did have more regrets, which is a sort of different thing. More guilt, more regret, more shame, whatever. But I think as I got older I have regrets just as much as anybody else. I mean I’m not Édith Piaf. (Laughs) I’m more Sinatra in that way. I’ve had a few, but too few to mention. So of course I’ve got them, but I don’t live in the past in that way, because you can't go back, you can’t change it, you can’t un-cause the pain you caused, you can’t un-cause disappointment you caused – even to yourself, pain to yourself. You can’t really change the past.